Miami (AFP) - Mary Helen Abbott, 77, paints her lips bright pink, still smokes the occasional cigarette, keeps up on all the gossip at the retirement home and wears a short skirt to fitness class. She giggles as the aerobics instructor shouts -- "Swagger! Like you are going to meet someone famous!" -- then she and a dozen seniors throw shoulders back, lift their knees high and strut around the exercise studio. Abbott is what scientists refer to as a "super-ager," and she is taking part in a $3.2 million study that aims to uncover the secrets to staying sharp and healthy into old age. 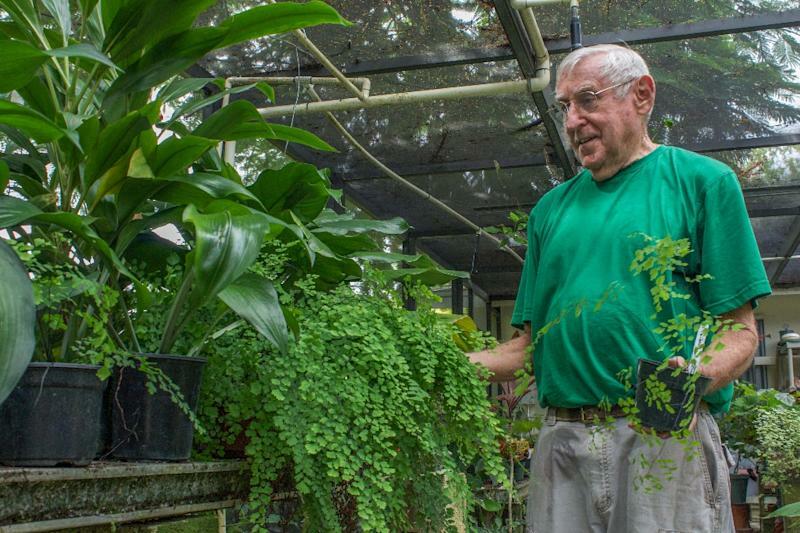 While some hunt for medications to treat or prevent dementia, others, like University of Miami neuropsychologist David Loewenstein, are interested in why some people are spared altogether. "I study Alzheimer's disease, but if we want to unlock the mysteries of the brain we also have to know why some people age successfully," said Loewenstein. The five-year study funded by the National Institutes of Health is open to people age 63 to 100 who have not been diagnosed with dementia, and who are either in good mental shape or have early signs of memory failure, known as mild cognitive decline. Loewenstein is particularly intrigued with how some people seem to be able to fend off memory loss, whether by genetic, environmental or other means. He cites studies involving autopsies on people 85 and above -- a population in which about one in three suffers from dementia. Nearly another third of this age group have post-mortems that reveal significant hallmarks of dementia -- known as plaques and tangles in the brain -- but seemed just fine while alive. "How can people function at these higher levels? Science has not been able to answer that," said Loewenstein. "And that is what we are trying to figure out." 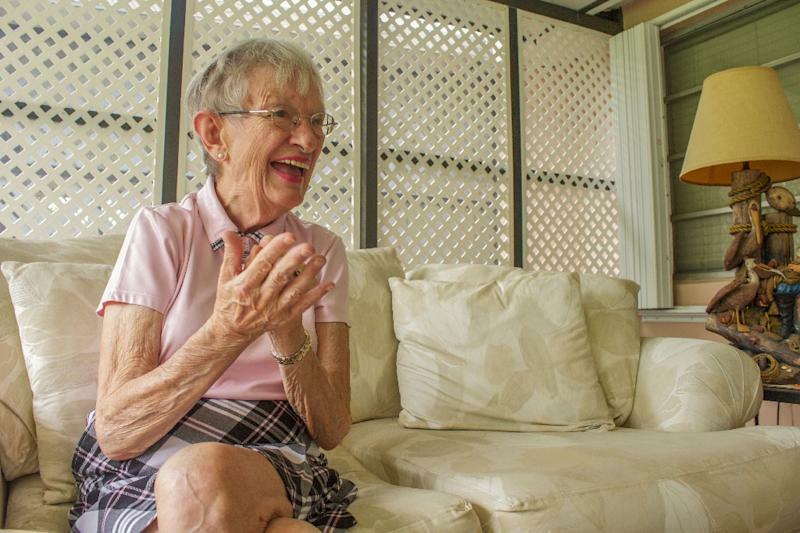 Of the 100 people enrolled in Loewenstein's study so far, more than 40 live at East Ridge, a retirement village that resembles a typical suburban neighborhood in south Florida, with wild peacocks roaming beneath the palm trees, people driving around the manicured grounds on golf carts, and rows of single-story homes divided into multiple apartment units. Such tranquility does not come cheap. Residents must pay $111,000 up front, then a monthly rent of $2,700 or more, depending on the size of their living space. Soon after arriving seven years ago, Gwen North, a retired kindergarten teacher who appears decades younger than her age of 85, took on the responsibility of running the thrift store. "I work probably six days a week," she said, happily. At age 86, her husband Art is known as the go-to-guy around town -- perpetually ready to chat, share information, or fix electronics that have broken. Art and Gwen have already taken memory tests and are giving samples of their spinal fluid so that it can be studied for the earliest biological markers of aging. They have even arranged to donate their brains for further study after they die. So what has kept them young? "Staying busy. And good genes," said Gwen. "Just working. And my wife," added Art. It turns out, there is scientific data to back up their claims. "We have known for a long time that people in the workforce are better than people out of work," said Laura Carstensen, founding director of the Stanford University Center on Longevity, addressing a forum on aging at the National Academy of Medicine last month in Washington. "Work -- paid or unpaid -- may improve cognitive functioning." Regular exercise and a Mediterranean diet are also known to help foster healthy aging. 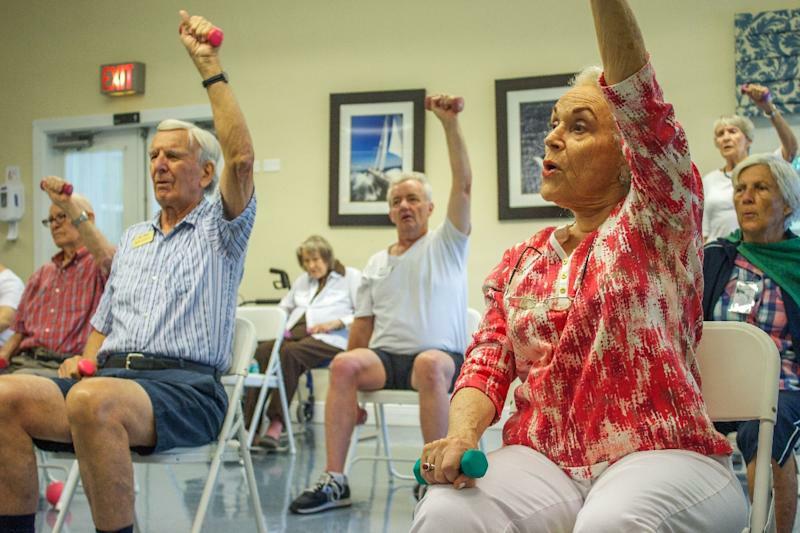 "Geriatricians I know say that if we could put exercise in a pill form it would be the most sought-after drug on the market," she said. Abbott confesses that prior to entering the retirement home, she was not doing so well. After her husband died, she lost weight and felt lonely. "One of the big reasons I like being here is I got tired of eating by myself," said Abbott. She clearly thrives on social contact. Now, she plays golf every Monday and rides the bus to church on weekends. Abbott leads the welcoming committee and knows everyone, from the gay couple who just moved in, to the woman in her 90s who nearly died but is now lifting weights again in exercise class, to the woman with the raven hair who had a tryst with a doctor 20 years her senior, then married him, and has stayed married to him for some 40 years. She recounts these vignettes without malice, exuding pure delight at knowing the details of others' lives. There's some science behind this, too. "Epidemiological studies show that people with a lifetime of cognitively stimulating activities and social connections are much less at risk for cognitive decline as they age," said Loewenstein. Of course, it is impossible to ignore the economics of healthy aging. Many of the residents at East Ridge are educated and white. They saved their earnings, invested well and benefited from the boom in real estate prices. The poor are often more prone to the ravages of aging. Research also shows that African-Americans and Hispanics suffer disproportionately higher rates of dementia than the country's whites. With cases of dementia in the United States set to triple, reaching 132 million by 2050, some experts warn the disease could bankrupt major world economies and cripple health systems. But Carstensen believes society could also benefit from a new perspective, one that doesn't automatically conflate aging with illness.